Can a new look and updated engines make Jeep’s smallest SUV more popular in Australia? The wraps have come off the upgraded 2019 Jeep Renegade at the Torino (Turin) motor show in Italy. Due to arrive in Australia from around November 2018, the compact SUV presents a stylish new image without diluting its rugged proportions. The updated Jeep Renegade shows off a more mature front-end design, this high-grade ‘Limited’ model featuring more shiny metallic bits and new-look headlights with trendy circular LED halos. The lower bumper has been reworked with repositioned fog lights and body-coloured panels extending further south, providing a less plasticky, more upmarket look. The 2019 Jeep Renegade gets a massaged rump too, with restyled X-shape brake lights bringing a little freshness to the eyes of following motorists. The Renegade was originally launched in early 2015, but it’s not clear what changes will be made to its interior as Jeep is keeping mum about the innards for now. However, like the exterior, expect to see a modest workover. Built in Italy alongside its twin-under-the-skin, the Fiat 500X, the updated 2019 Jeep Renegade will benefit from a range of new engines, comprising three-cylinder petrol engines as well as four-cylinder units. At present the Renegade is offered with a trio of ageing four-cylinder petrol engines, an entry-level 1.6 (81kW/152Nm), mid-spec 1.4 turbo (103kW/230Nm) and a range-topping 2.4 (129kW/230Nm). These are expected to be replaced with 110kW and 132kW versions of a leaner, greener 1.3-litre turbo-petrol engine, while a new 1.0-litre turbo-petrol engine generating around 90kW could power a new entry-level model. The new entry-level engine – and a lower price – could be crucial for the Renegade in Australia. The Renegade is a city-savvy compact SUV but its striking design and unique features have failed to take off in Australia. 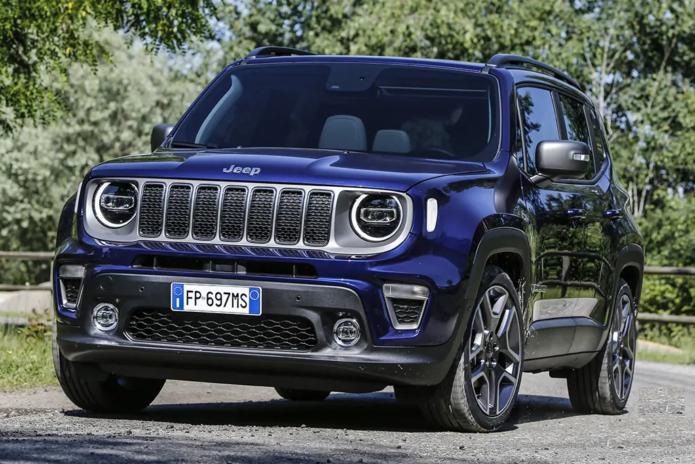 While rivals like the Subaru XV and Honda HR-V have sold more than 5000 units each in the first five months of 2018, the Jeep Renegade managed to find just 85 customers in total. That’s down 74 per cent on last year’s tally of 328 for the same period (Jan-May). The Renegade was even outsold by its Fiat 500X sister model, which has nabbed 101 sales thus far this year. Priced between $26,290 and $40,290, it’s probably too dear given its size. Rival SUVs like the Mazda CX-3 start at $20,490. The arrival of the new Jeep Compass hasn’t helped the situation either, demoting the Renegade to the slowest-selling Jeep model in Australia. Stay tuned for more details of the 2019 Jeep Renegade, which arrives in Australia late in 2018.